In collaboration with Deutsches Forschung Gemeinschaft (Bonn) and Institut Praehistorische Archaeologie, Frei Universitat (Berlin) in the period of July 1 – August 31, 2008 there were conducted archaeological field excavations in the Late Bronze Age settlement from Odaia (Drochia district, Republic of Moldova). Interdisciplinary studies: accumulation of soil samples to perform chemical, palaeobotanical, and palaeozoological analysis to determine the palaeoeconomy of the Late Bronze Age. Collaboration between the National Museum of Archeology and History of Moldova and the National Museum Complex "Moldova", Iasi, in association with museums from Ukraine, embodied in the organization of a joint exhibition „Cucuteni-Trypillia, Una Grande Civilta dell’ Antica Europa, V-III millenni a.C.” in the Vatican Chancellery Palace in Rome (September 16 - November 5, 2008). Organized by the Ministry of Culture and Religious Cults of Romania, in cooperation with the Ministry of Culture and Tourism of Ukraine, with the Ministry of Culture and Tourism of the Republic of Moldova as a special guest, the collective exhibition brought together nearly five hundred objects covering the entire area of the ancient civilization of Cucuteni-Tripolye. In collaboration with the Institute of Archaeology “Vasile Parvan” (Bucuresti, Romania) there was organized the 9th International Symposium of Numismatics, held in Chisinau on October 17-18, 2008. The event was attended by about 30 researchers, museum specialists, and collectors from the Republic of Moldova, Romania, Ukraine, Poland, and France. 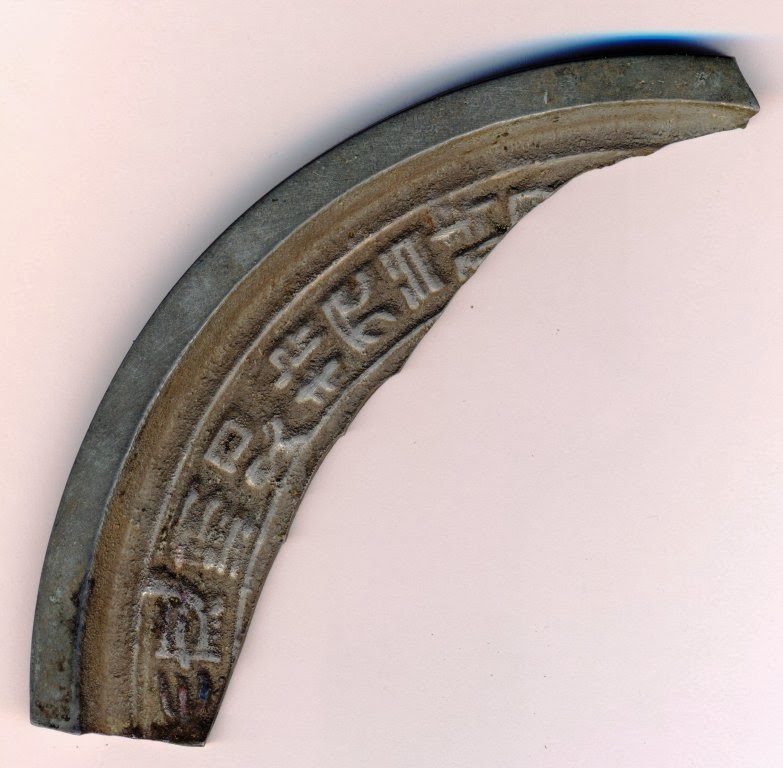 The symposium program included 18 scientific communications, which contributed to the progress of numismatics as a science. On November 12 – 13, 2009 there were held the 10th International Numismatic Symposium, in which researchers from Romania (Bucharest, Suceava), Ukraine (Kiev, Kharkov, Odessa, Chernovtsy), and different research institutions from the Republic of Moldova have presented their scientific reports. 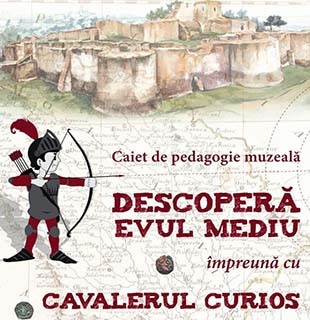 The National Museum of Archeology and History of Moldova participated in the project “Cultural Heritage without Borders” initiated by the Romanian Literature Museum and the District Library “Gh. Asachi” from Iasi (Romania) in the period of September 2008 – June 2009. The project was funded by the EU in the framework of the Neighborhood Program Romania – the Republic of Moldova. The project activities were the following: organization of workshops on cultural marketing, two travelling exhibitions (European Values in Interwar Chisinau, European Values in Interwar Iasi), a database; publishing of brochures, leaflets, and maps on marketing and cultural entrepreneurship. Coordinator: Dr. E. Postica. The National Museum of Archeology and History of Moldova, in partnership with the Museum "Vasile Parvan" from Barlad and in association with the Botosani District Museum and the Mixed Museum from Tecuci (Romania), participated in the project “Late Antiquity in Prut Basin”. The project was funded by the EU in the framework of the Neighborhood Program Romania – the Republic of Moldova. Aim of the project: to enter in scientific and public circulation new evidences relating to the common history and culture on both sides of the Prut River. The project duration: September 17, 2008 – September 17, 2009. The project activities: organizing of the travelling exhibition “Late Antiquity in Prut Basin” (held on January 31 at Botosani, March 26 at Tecuci, May 17 at Barlad, and June 17 in Chisinau), the Scientific Workshop (May 22, 2009, Barlad), archaeological excavations (in the necropolis of Polocin/Pogonesti, the Iasi District), publishing of the Exhibition Catalogue. Coordinators: Dr.Hab. E. Sava, V. Bubulici. The National Museum of Archeology and History of Moldova, in partnership with the National Museum Complex "Moldova", Iasi, and the District Museum of History “Stefan cel Mare”, Vaslui, participated in the project “Cucuteni – the Magic of Ceramics” funded by the EU in the framework of the Neighborhood Program Romania – the Republic of Moldova, 2004-2006. The project aimed to promote and facilitate public access to the shared invaluable cultural heritage. The project activities have resulted in organization of the temporary exhibition “Cucuteni – the Magic of Ceramics” in both the countries (July 23 in Chisinau and August 14 in Iasi). Coordinators: Dr.Hab. E. Sava, Dr. E. Postica. The National Museum of Archaeology and History of Moldova has developed the project "Providing the National Museum of Archaeology and History of Moldova with technical equipment for the modernization of the restoration, exhibition activities and work with the public" financially supported by the Government of Japan in the framework of the Program of small-scale financial assistance in the field of culture, which is a part of the Japanese official assistance program for the development of the Republic of Moldova. The official presentation of the grant agreement for the project won by NMAHM was held on October 7, 2009 in the presence of the Ambassador Extraordinary and Plenipotentiary of Japan to the Republic of Moldova E.S. Tadashi IZAWA. Duration of the project: October 2009 - October 2010. Aims: to provide the laboratories for metal and wooden objects restoration with modern equipment, to provide the museum exhibitions and the cinema hall for the public with audiovisual equipment, to provide modern showcases for temporary exhibitions. Coordinator: A. Cornetchi. Natalia Mateevici, scientific researcher-coordinator, participated in the period June 25th-July 25th, 2013 at the international Ukrainian-German archaeological excavation camp Kosary -2013. Natalia Mateevici, scientific researcher-coordinator, participated in the period August 5th-August 30th, 2013 at the international Romanian-Italian archaeological excavation camp from Ibida (Slava Rusă, Romania). On August 10th-17th, 2013 Lucia Marinescu-Tonu, scientific researcher, and Elena Ploșnița, scientific secretary, participated at the works of the 23rd General Conference of the International Council of Museums (ICOM) with the theme „Museums - memory and creativity - social changes" which took place in Rio de Janeiro, Brazil. On August 19th-24th, 2013 Lucia Marinescu-Tonu, researcher in the Medieval History and Numismatics Sector, had a documentation internship at one of the most important centers of museology from Brazil - Museum of Astronomy and Connected Sciences (Rio de Janeiro). The museum collaborators - Anuța Boldureanu and Elena Ploșnița participated at the trilateral meeting of the ICOM International Committees from Romania, Ukraine and Moldova which took place on October 17th-21st, 2013 at Ploiești and Bucharest, Romania.In the period of November 17-21, 2014, Lilia Calughin, head of section Informatics, participated in training on digitalization of cultural heritage organized by the Polish Institute from Bucharest in Warsaw, Poland. Dr. hab. Elena Ploșnița, scientific secretary of the museum, participated between 22 and 27 February, 2015 at training on museum documentation in Warsaw and Gdańsk, Poland, organized and funded by the Ministry of Foreign Affairs of Poland. Through the German Cultural Center AKZENTE from Chișinău, the German composer Adrian Oswalt gave a public conference on „History of hurdy-gurdy" and a performance of mechanic music at the „Museum Night", May 16, 2016. National Museum of History of Moldova in cooperation with the Department Europe-Asia of the German Archaeological Institute in Berlin continued in 2015 (between May 29 and July 5) field archaeological research in the surroundings of v. Sofia, Drochia at the Eneolithic settlement "Petreni" (Cucuteni-Trypillian culture), dated with the 5th millennia BC. MNIM was partner in project "Early urbanism in prehistoric Europe: the case of Trypillian mega-sites" initiated by the University of Durham, England and the Institute of Archaeology in Kiev, Ukraine. The project had final goal the organization of an international exhibition about the history of Cucuteni-Trypillian proto-cities, which was presented in all project countries. In Chișinău, the exhibition "Trypillian Mega-sites" was on display from September 9 to November 6, 2015. Based on the agreement with the National Museum Complex "Moldova" from Iași, Romania, the exhibition "Heritage values from the collection of the Museum of Science and Technique Ştefan Procopiu, Iași" was organized at MNIM in the period from September 23 to October 26, 2015. The National Museum of History of Moldova in collaboration with the Institute of Archaeology „Vasile Pârvan" from Bucharest, Romania, organized the 25th edition of the Symposium of Numismatics on October 29-30, 2015. The event was attended by numismatists researchers from Romania, Ukraine and Moldova. MNIM has participated in the exhibition "Krieg - Eine Archaeologishe Spuresuche" (War - decoding archaeological traces), open for visiting from November 5, 2015 - May 22, 2016 at the Landesmuseum für Vorgeschichte in Halle, Germany. An international team of museums from Germany, Netherlands, France, Switzerland, Austria, Czech Republic and Moldova participated at the organization of the exhibition. Our museum was present with 14 archaeological pieces from the Eneolithic period unearthed during research on the tumulus of Giurgiulești. Mariana Sîrbu, researcher in the sector Archaeology and Ancient History, participated at the Autumn School for PhD students in ancient history and archaeology in Valea Alunului, com. Boșorod, jud. Hunedoara, România on October 3-11, 2015. The school was organized by the Educational Center of „Dacica" Foundation. Dr. Natalia Mateevici, researcher in the sector Archaeology and Ancient History obtained a research fellowship for archaeological documentation at the Archaeological School in Athens in the period November 1 - December 1, 2015. Mariana Vasilache, researcher in the sector of Archaeology and Ancient History, had an archaeological documentation visit at the Prehistoric Museum from Halle, Germany, part of project „Krieg - Eine Archaeologishe Spuresuche", November 1-10, 2015. From March 2 to April 10, 2016 the National Museum of History of Moldova organized an event celebrating an emblematic personality of the Czech Republic - Václav Havel. The temporary exhibition „Portrait of Václav Havel" was brought to Chișinău by the Czech Center from Bucharest. Based on the collaboration agreement with Herend Porcelánmanufaktúra Zrt. From Hungary, the MNIM hosted from May 13 to July 12, 2016 an exceptional exhibition of Hungarian porcelain entitled "Herend Glow". On the occasion of the exhibition opening, the museum was visited by dr. Attila Simon, General Director of Herend Porcelain Manufacture. Five curators from the MNIM participated in the "Days of museographers - memory, consciousness, history", which was held in Bucharest, Romania, on June 6-10, 2016. The project was developed by the Institute "Eudoxiu Hurmuzachi" for Romanians de Pretutindeni, in partnership with the Ministry of Culture of the Republic of Moldova. The study visit included workshops and lectures by experts from various museums in the Bucharest, meetings with academics and visits to museums. MNIM has participated at the organization of the exhibition "Romania in the Great War" which was opened at the National Museum of History of Romania on September 15, 2016. In this order, 25 documents and photos about the situation of Bessarabia during World War I were included in the exhibition and catalog. From September 21 to 24, 2016 was held the 26th Numismatic Symposium, organized in collaboration with the Institute of Archaeology "Vasile Pârvan" from Bucharest. The event brought together researchers numismatists and collectors from Moldova, Romania, France, Japan, Ukraine, Belarus, Slovakia and Poland. Based on the cooperation agreement between the Ministry of Culture of the Republic of Moldova and the Ministry of National Heritage of Poland, the restorer of the National History Museum of Moldova, Daniela Ferroni, conducted a study visit in Poland in the period of October 10 to 15, 2016. The theme of the documentation visit was "Conservation-restoration of movable heritage, historical monuments and cultural heritage digitization." Between October 3 to 12, 2016 was implemented the second stage of the Moldovan-German project (National Museum of History of Moldova, Chișinău - Frei Universität, Berlin) which started with verification and research of Sabatinovka culture settlements identified in the valleys of Ialpug river and tributaries. Based on the cooperation agreement, the Polish Centre in Bucharest organized at the MNIM a temporary exhibition with the theme "War in Polish poster. Krzysztof Dydo Collection". The exhibition is on display from November 3 to 30, 2016.